In 1974, the Alberta Government created Heritage Day to recognise, and celebrate our varied multicultural heritage. This year, we were lucky enough to be able to call on three of our talented knitting friends to give a series of talks (with time for questions!) about their knitting heritages. Seating is limited, and will be on a first come, first served basis. Baiba was born in Riga, Latvia, and has been knitting for most of her life. She studied design and textiles at Riga Design and Art school. 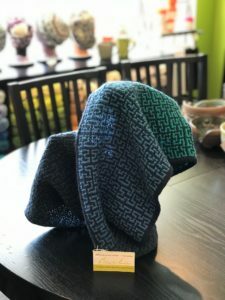 She now lives here in Calgary, where she designs everything from shawls, to socks, to mittens, and anything else she puts her mind to. Join us on August 4th, as she takes you on a journey through the knitting culture of Latvia. 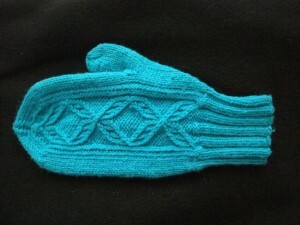 It’s so much more than beautiful mittens! 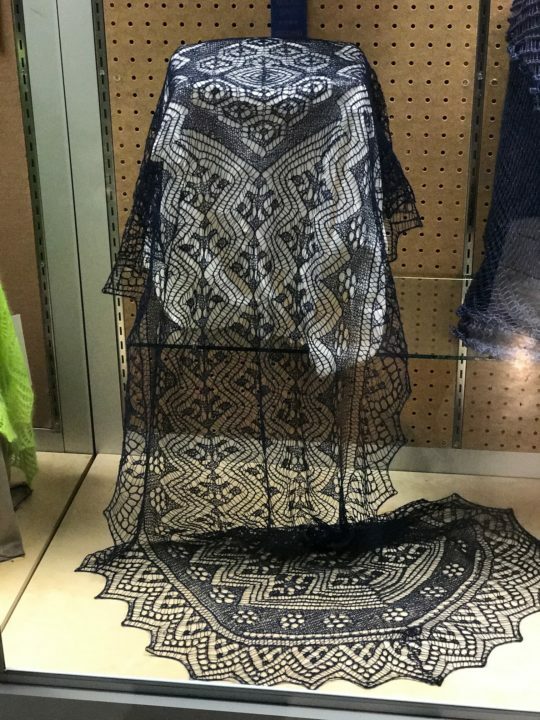 Many of you are familiar with Yulia’s beautiful designs of intricate lace shawls, as well as the gorgeous shawls themselves. You may have also attended her talk during our 5th birthday celebration. But if you missed out, now is your opportunity! She’ll be giving a talk on the craft of Orenburg Lace. If you are a lace knitter, or a lace enthusiast, you do not want to miss this! Iceland has a long, and rich knitting heritage. Janis Kristjansson is one of our great knitting friends, and the designer of the School mittens that some of you generously donated to our mitten tree this past winter, as well as the beautiful cabled mitten below. She is also part of the Icelandic knitting heritage, as well as the final speaker in our knitting multiculturalism series. Come on down and learn about Icelandic knitting with us!